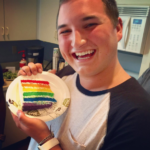 Posted by Jacob Goedde on Wednesday, March 13, 2019 in News & Updates. 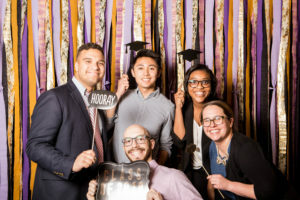 Join us Wednesday, April 17, 2019 from 7:00PM to 9:00PM in the Student Life Center Ballroom as we celebrate the achievements and contributions of LGBTQI and allied graduating students and student leaders at Vanderbilt University. Even if you have never attended our events or been inside of the K.C. Potter Center, we invite you to celebrate your graduation with us. If you would like to nominate yourself or someone else for an award, you can do so here. 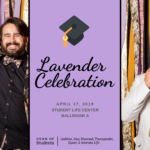 Lavender Celebration is a tradition that began in 2008 at Vanderbilt, held in addition to regular commencement activities. 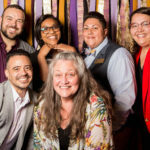 Its aim is to celebrate the contributions of lesbian, gay, bisexual, transgender, queer, intersex, and allied graduating undergraduate and graduate students as well as faculty and staff. All members of the Vanderbilt community are welcome to join us for this special evening ceremony and community dinner.